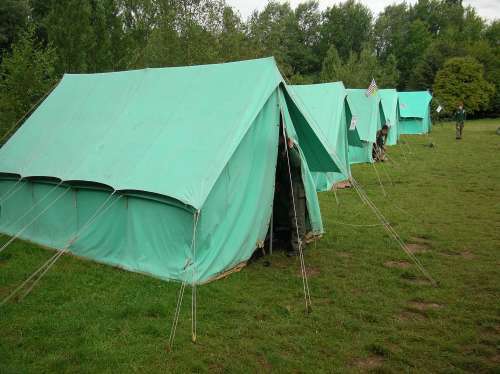 The Cubs summer camp was at Eaton Vale, Norwich from at the end of July. It was an open grassy site with few groups, smaller than Thriftwood (2006) and far smaller than Cherry Jam. We had as a theme ‘Ancient Britons’ and we worked towards Campers Badge, Outdoor Activity Challenge, and Artists Badge. 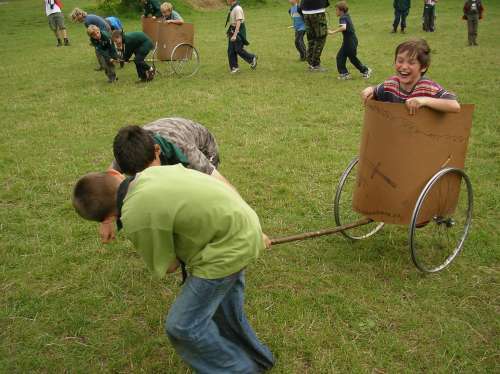 The activities were organised and run as a pack. We did everything from air rifle shooting, grass sledging, and chariot making, decorating and racing to climbing, rafting and kayaking along with all the more traditional camp activities of fire lighting, outdoor cooking, orienteering and sports. We also had some craft activities (it rained a little) and made some museum visits (Muckleburgh Collection and Sainsbury Centre of Visual Arts), some with more success than others.